SLC and OKC share a bond of “slow-motion” lifestyles and sports devotion. The Jazz’s 27th appearance in the NBA playoffs opened with a prayer. 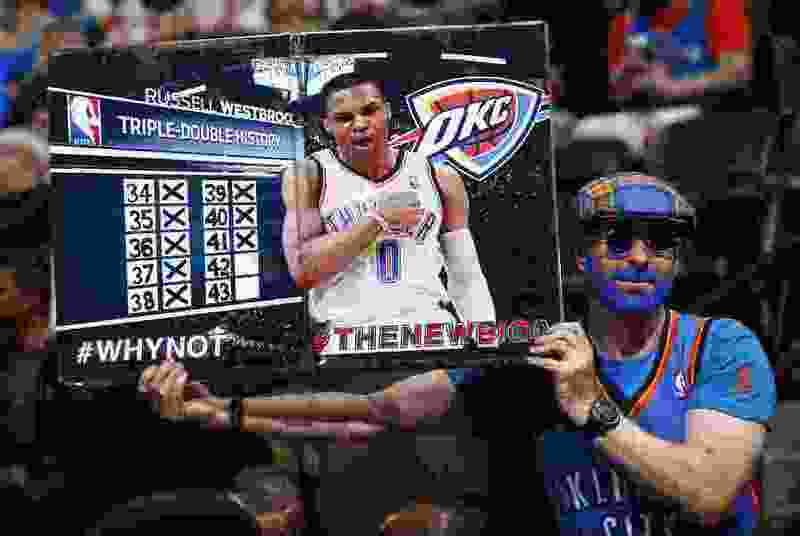 The invocation offered before every Thunder contest, including a victory in Sunday’s Game 1 of a playoff series, further connects Oklahoma City with Salt Lake City as professional sports markets where religion is an everyday subject and the NBA team is part of the state’s fabric. SLC and OKC are among several cities that have only an NBA franchise, among the four traditional major league sports. In that sense, this story could be written about Portland, San Antonio or Memphis during a Jazz playoff series. Yet something about the way the Jazz and Thunder fit into a statewide culture with an attachment to the NBA teams serves to bond these two markets. The lifestyle? That’s also much the same, in each place. “Slow-motion,” said Jazz center Ekpe Udoh, whose hometown is nearby Edmond, Okla. So this series is all about basketball, with nobody in either market having much material to make fun of the other, and visitors unable to complain about having nothing to do — unlike last year’s case of Golden State’s players citing boredom in Salt Lake City. This matchup celebrates two cities and states that have embraced NBA teams that came to them from New Orleans (the Jazz) and Seattle (the former SuperSonics). The Sooners’ spring football practice ended last weekend, when 50,000-plus fans attended the final event, so the Thunder have the stage. “Right now, yeah, it’s the only game in town,” Udoh said. (Francisco Kjolseth | The Salt Lake Tribune) Jazz fans Ray Percell, Dan McKean, Chris McConnell and Stevo Brown, from left, add some fun to the Jazz-Spurs game in Salt Lake City, Thursday, Dec. 21, 2017. That’s past tense, with Kevin Durant having left Russell Westbrook and Oklahoma City behind for Golden State in 2016, after once playing for the Thunder in the NBA Finals. Durant was beloved in Oklahoma in 2013, when Horner and his family arrived from Provo. Horner’s wife, Rachelle, was welcomed at an auto mechanic’s garage by a customer who drove a crimson vehicle, wore Sooner clothing and carried a dog named Sam Bradford, in honor of the former OU quarterback. They talked about sports, and Rachelle said she was a fan of the NBA more than college football. It helped that Durant had recently donated $1 million to aid tornado relief efforts in the area. But he’s gone now, having moved a year before the Jazz lost Gordon Hayward to Boston, evoking similar questions about a small-market team’s ability to build something to last. Oklahoma City’s concern now is that forward Paul George will depart in free agency to the Los Angeles Lakers or another team. That cloud hangs over the Thunder, much as the Hayward vigil framed the Jazz’s playoff run last spring. Oklahomans will remain attached to their team, regardless. Like the Jazz organization, the Thunder seize upon their statewide following. Their pregame video presentation features a montage of Oklahoma town names and scenes. After the first quarter Sunday, fans sang along to “Oklahoma,” the title song from the musical. The Thunder’s arrival has helped to bond the state’s residents and give Oklahoma City a pro sports identity after forever being overshadowed by Dallas, 200 miles away. Sellout crowds at Chesapeake Energy Arena have created the “Loud City” branding, although the volume and level of fan involvement seem more manufactured than at Vivint Smart Home Arena. Jazz fans will have their chance to validate that theory Saturday, when the series moves to Salt Lake City. Three colors of T-shirts will be distributed, as the arena models the look of the Jazz’s “City” uniforms — actually, stemming from a statewide theme. 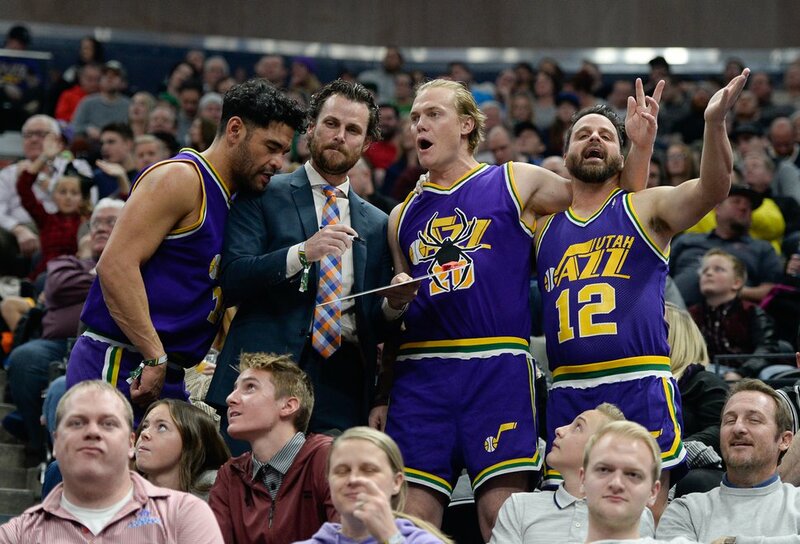 The Jazz are Utah’s team, just as the Thunder belong to Oklahoma, with big followings that extend beyond their small markets.